Edward Durell Stone and Associates. 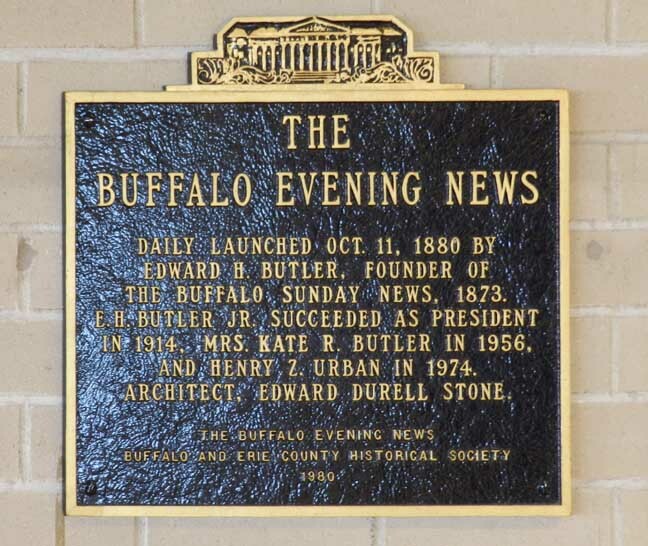 At the time of its completion the Evening News Building was one of Stone's last works. 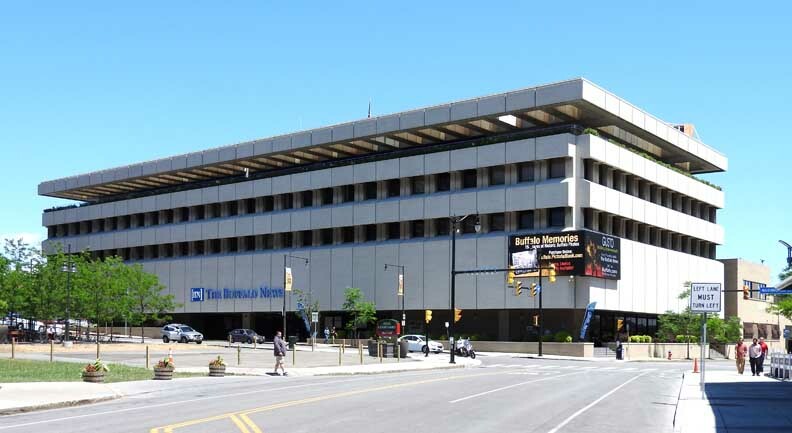 "The structure of the Buffalo News Building represents a unique construction system for the time. 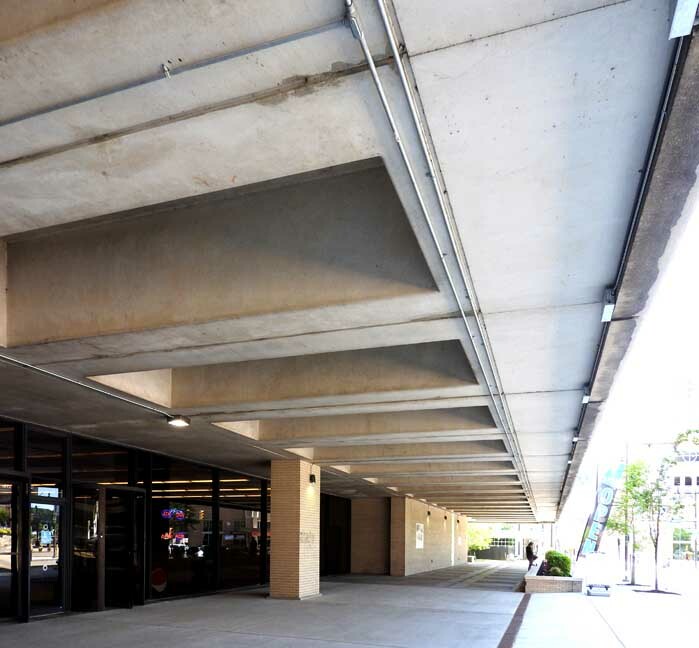 The building utilized exclusively site cast concrete for its main structural elements. 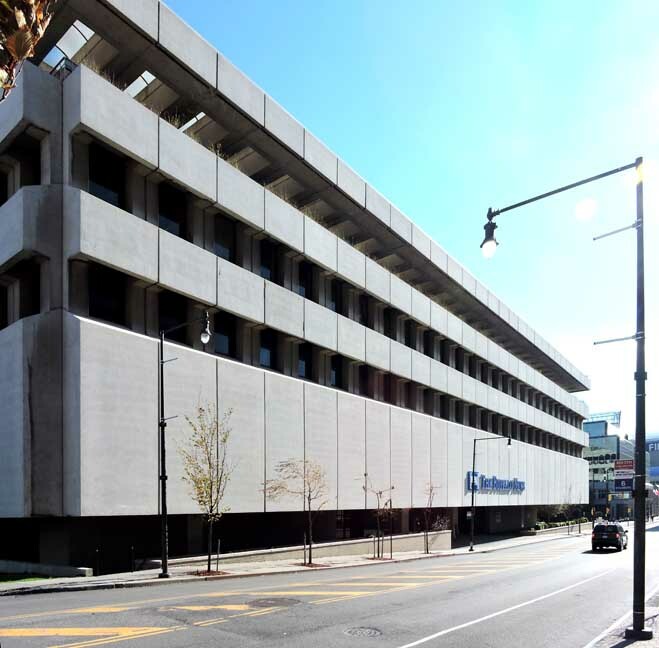 This building represents a significant change to the architecture that defined Buffalo for nearly three-quarters of a century prior. 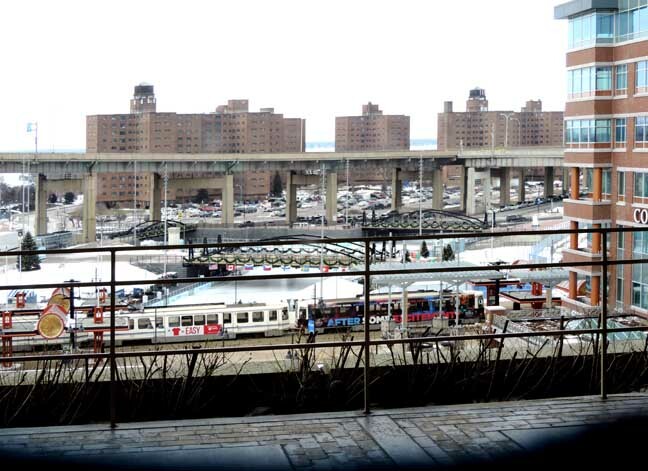 "It is difficult to place this work into the context of the overall architectural history of Buffalo because while it has not yet been recognized as one of the elite design projects of the city, it is still an important project in the timeline of the city as well as the style. "The preservation of the building is put into danger by the lack of public knowledge of the building along with the shifting of demand for the field." 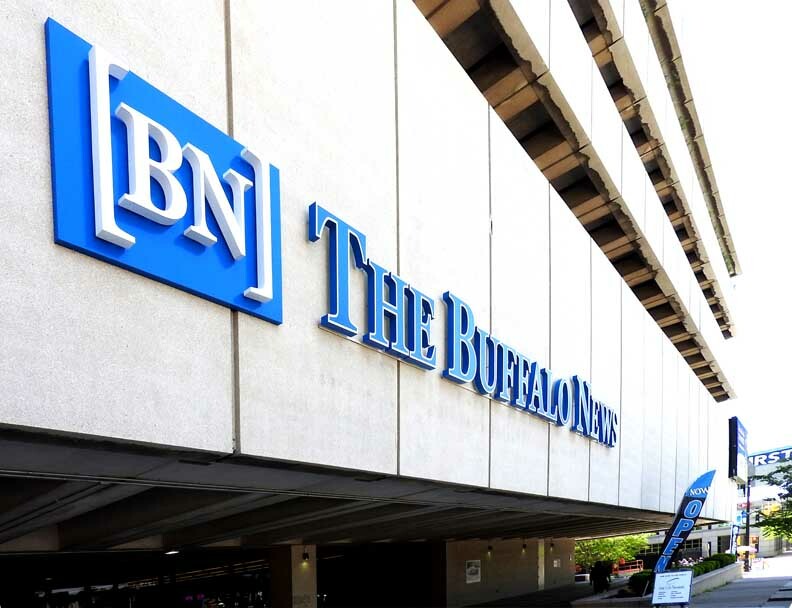 The construction of the Buffalo Evening News Building marked a significant move for the News as it brought back together the production and the administrative sides of business at one location. 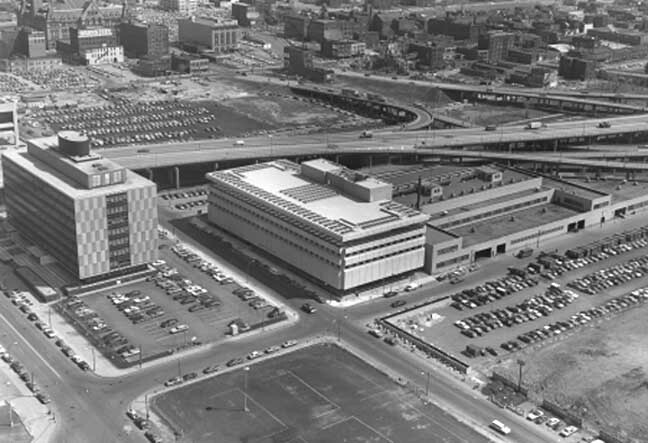 The two branches were separated in 1958 when the production side of the News moved to a new location on Scott St. 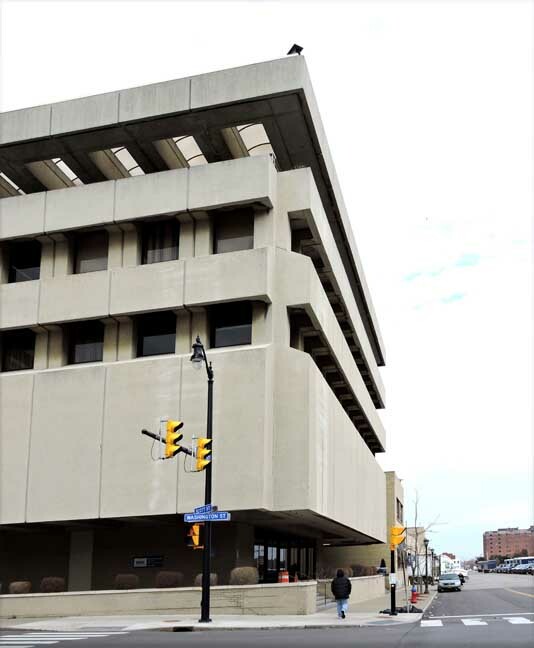 They would stay separated for nearly 13 years, administrative offices stayed at 218 Main St. right by Seneca St, but when they opened their doors on a new facility right next door to the production plant the News was finally whole again. Soon after the production facility opened their doors in 1958, Mrs. Edward H. Butler began her search for an architect to construct a building next to the production facility to house editorial, advertising, and administrative offices bringing all parts of the paper together. 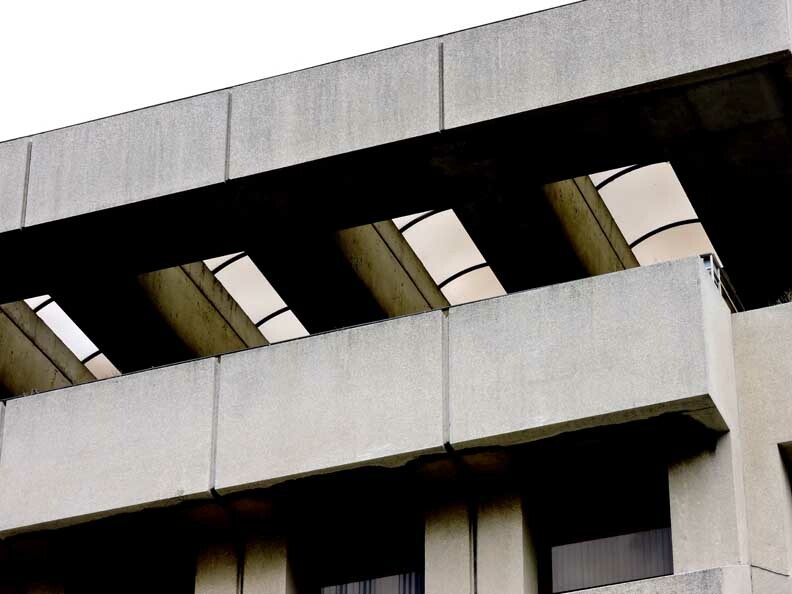 Edward Durell Stone was one of the obvious options for the project, since at the time he was, if not the premiere, one of the best architects in the country. Stone’s building however used a great deal of site cast and precast concrete to construct the Evening News. 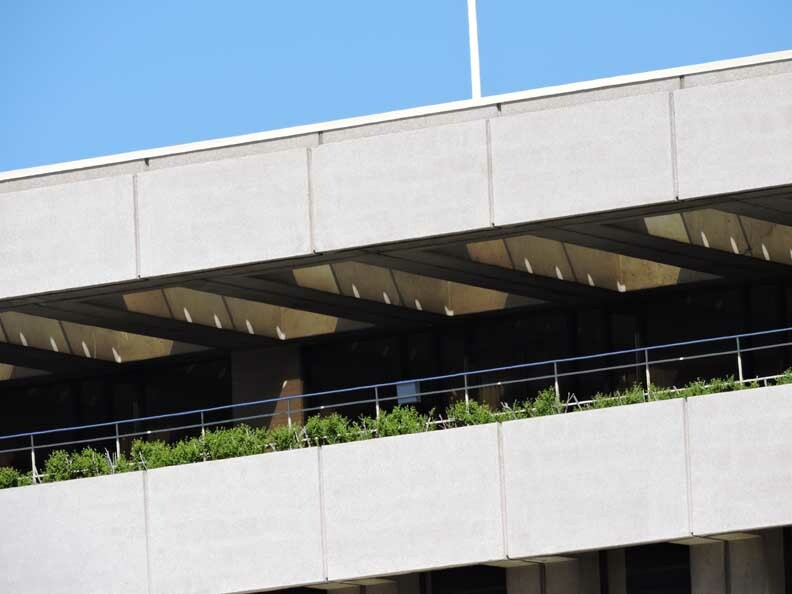 Stone was clearly influenced by the International Style as the building can be seen as a Brutalist expression of the style that Philip Johnson coined in 1932. The News exhibits all five points that were distinct to the style: free façade, open plan, strip windows, roof gardens, and pilotes [pilotis?]. The planting on the exterior balcony can be interpreted as the project's roof garden providing greenery to the occupants. The construction of the News Building was rather unconventional for the location and time period. During this time in history a majority of the buildings being erected, including the HSBC Tower by SOM, opened one year later, where hybrid buildings using both concrete and steel but for the most part steel was the leading structural system at the time. Stone’s building however used a great deal of site cast and precast concrete to construct the Evening News. The process of erecting the building was fairly simple. 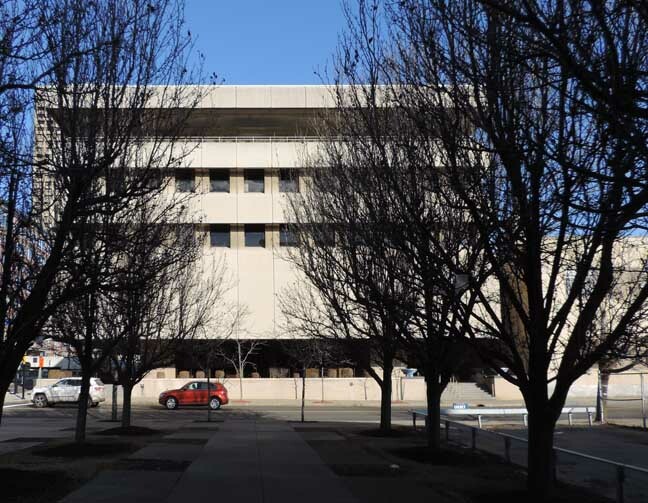 Once the site prep work was completed, the basement and concrete foundation were poured, and the building was built using site cast columns and precast double tee planks. 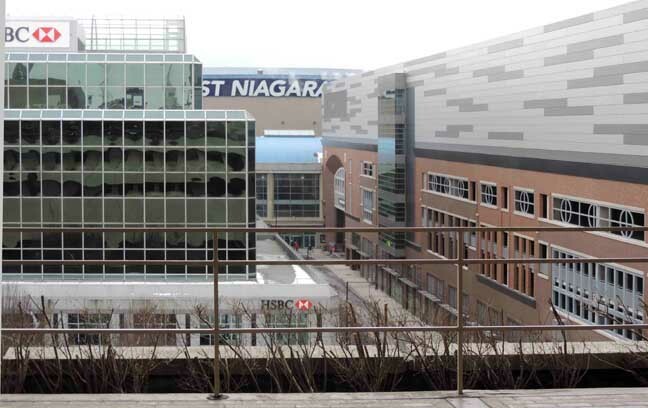 The double tee planks provided Stone with an integrated service zone that to this day houses both electrical lighting and HVAC services. 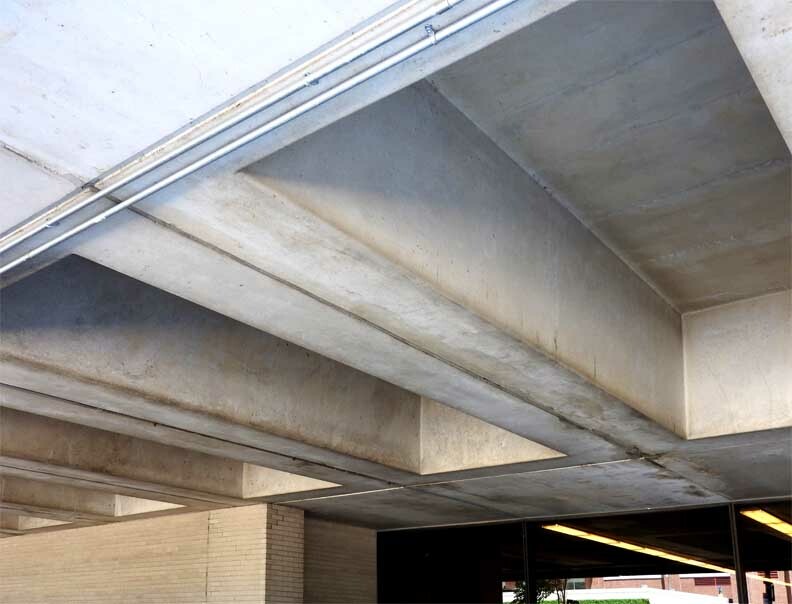 The ground floor slab uses a waffle slab instead of the precast t’s to distribute the weights evenly across the lower level. The precast concrete panels were also an interesting part of construction, giving the building a very massive feeling but reducing the weight of these hung panels they were made thin. 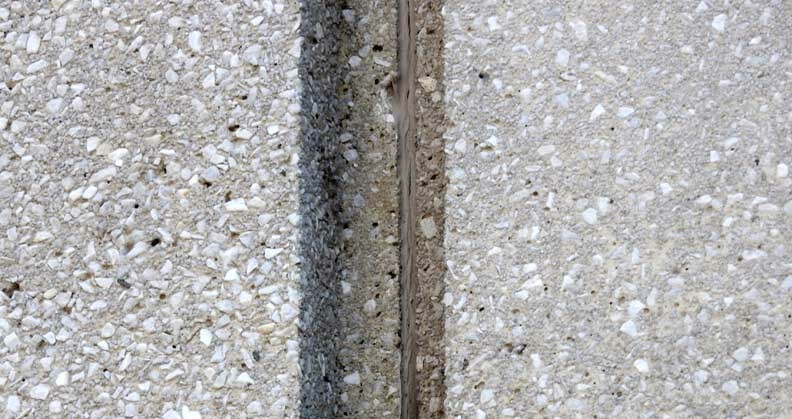 Exposing the corner of the building gives those who pass by a brief idea that the precast panels are just a veneer and that there is another structural system beneath. On the interior the massive construction is expressed as the walls and ceilings are left exposed. The one soft surface is the carpeted panels of the raised floor system. The raised floor allows for multiple layouts of the open office floor with electrical floor panels easily being moved from one space to another to accommodate the office needs. 2016 photo ... East (left) elevation on Washington Street, and south elevation on Scott Street ... The fifth floor is reduced in interior square footage to provide and exterior balcony that wraps around three sides of the building. 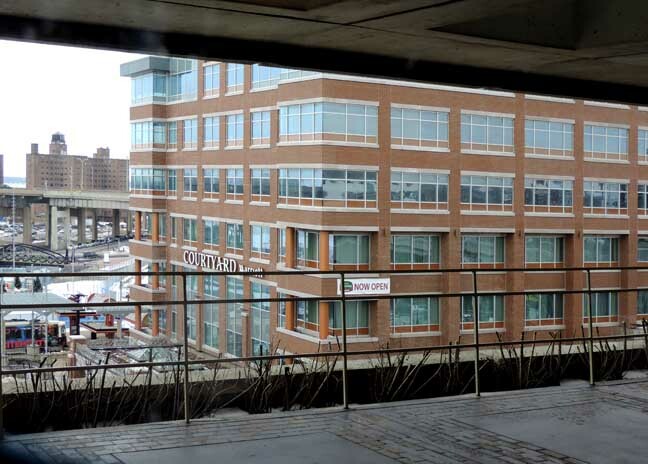 2015 photo - before the electronic sign was installed ... Exposing the corner of the building gives those who pass by a brief idea that the precast panels are just a veneer and that there is another structural system beneath. Skylights for both the interior and the exterior balcony.